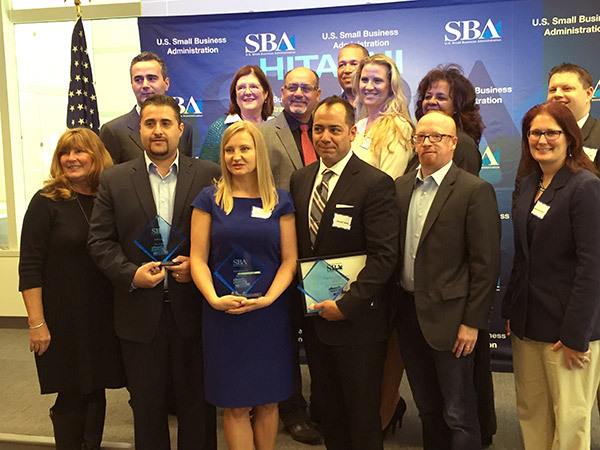 President, Laura Adamski, has graduated from the Small Business Administration’s 2015 Emerging Leaders Program. The Emerging Leaders Program is a seven-month intensive executive entrepreneurship educational program that includes 100 hours of class time and provides the opportunity for small business owners to work with experienced mentors, attend workshops, and network with other business leaders from the area. The Emerging Leaders curriculum was developed, in part, by Boston University Institute of Technology, Entrepreneurship & Commercialization. The program is designed for the participant to develop a self-sustaining business with a three-year strategic growth action plan with benchmarks and performance targets that can support sustainable job creation. The Program has been the leader for expanding opportunities for small businesses. The Small Business Administration focuses on business growth with the idea of generating new jobs. Graduates have reported having created nearly 2,000 new full-time jobs since 2008. The program graduated nearly 400 small business owners in 2014, the largest class since the program began in 2008. Adamski is excited about the business opportunities that will open up for the company. The U.S. Small Business Administration was created in 1953 as an independent agency of the federal government to aid, counsel, assist and protect the interests of small business concerns, to preserve free competitive enterprise and to maintain and strengthen the overall economy of our nation. We recognize that small business is critical to our economic recovery and strength, to building America's future, and to helping the United States compete in today's global marketplace. Although SBA has grown and evolved in the years since it was established in 1953, the bottom line mission remains the same. The SBA helps Americans start, build and grow businesses. Through an extensive network of field offices and partnerships with public and private organizations, SBA delivers its services to people throughout the United States, Puerto Rico, the U. S. Virgin Islands and Guam.